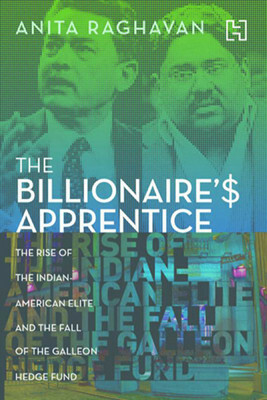 “The Billionaire’s Apprentice: The Rise of the Indian-American Elite and the Fall of the Galleon Hedge Fund” by Anita Raghavan reads as good as any thriller, so much so, that it actually makes you forget that it is non-fiction and actually happened. The way the story turns out and how it reached its end, is very difficult to write without making it sound boring. Raghavan on the other hand, takes it and turns it to a page-turner. On another level, the story that was on almost everyone’s mouth – the McKinsey and the Galleon Fund connection needed that kind of a voice to tell it intriguingly and with all honesty. The book isn’t just about the fall of the Galleon Hedge fund or only about Rajat Gupta or Raj Rajaratnam or the insider trading that took place. It is also about South Asians and their will to make it big in the country of dreams – The United States of America. The sub-texts in the book are plenty, and Raghavan sure knows how to string them all together, without letting the main plot fall apart. Rajaratnam clearly had a lot of connections. It is the way he used them, is what is fascinatingly told through this book. Why did Gupta, who was so revered and well-known, fall into this? Why did his protégé Anil Kumar become a part of this? Anita’s writing is direct and to the point. The chapters alternate giving a more humane angle to each of the parties involved. She doesn’t glorify them nor does she show them as villains. What she does is some brilliant documentation of events and what led to them being played out. There is no mincing of words or any attempt to hide facts, as the case should be in a book of this nature. Anita does not take sides and yet gives the reader a complete view of things. The cultural conditioning aspects of the scandal are also brought out quite well and with great understanding – maybe that’s why the background of each character had to be told at the beginning of the book in alternating chapters. “The Billionaire’s Apprentice” brings to light one of the biggest stories of our times in a well-researched manner. Nothing is missed out on. Every significant detail is mentioned and more so what works for the book the most is the humane side of things. A must read even for those who aren’t interested in business and market politics. This entry was posted in Books, Business, Hachette Book Group, hachette india, Non Fiction, Review and tagged america, Anita Raghavan, Business, Galleon Hedge Fund, hachette india, India, Indian-American Elite, Rajat Gupta, The Billionaire's Apprentice on July 26, 2013 by thehungryreader.